The GSM Ol’Aces had a resounding debut in the 2017 TanHoldings Christmas Basketball Tournament after crushing IT&E, 66-35, in the opening game in the girls division yesterday at the Gillette Multipurpose Gymnasium. The John Santos-coached GSM Ol’Aces had Twin Towers Anna Lei Santos and Cassie Camacho manning the paint and cherry-picking inside against the much smaller frontline of IT&E. The winning squad also had another tall player in Taz Deleon Guerrero, while Eleina Santos did a good quarterbacking job for the GSM Ol’Aces, feeding Alliyah Fernandez and Jaime Pangelinan for the point-blanked shots. Fernandez and Camacho finished with 14 points each, while Pangelinan and Anna Lei chipped in 12 and 10, respectively. Eleina, Kenty, and Deleon Guerrero combined for 18 more markers for the GSM Ol’Aces. Jeraldine Castillo paced IT&E with her 16 markers, 6 of them came in the last two minutes of the first half to keep her team afloat at the break, 21-28, before the GSM Ol’Aces pulled away at the resumption of the match. Meanwhile, the Ol’Aces and 670 Sonics XVI joined the GSM Ol’Aces on the opening day winners list. In the first boys U18 division game, the Ol’Aces eased past the 670 Sonics XVIII, 69-56, while the 670 Sonics XVI outlasted the Ol’Aces Elite, 60-55, in overtime in the second tiff. The 670 Sonics XVI knocked in important free throws in the extra period to slip past the Ol’Aces Elite. 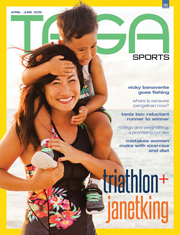 Aldrin Gio Dancel made three charities, while Clarenz Contreras had a pair and the last field goal for his squad. 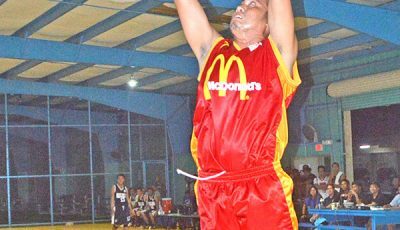 Earl Tabora and Ronald Bernardo also scored for the 670 Sonics XVI in overtime. In the first boys U17 division game, the Ol’Aces drew double figures from their starters to rout the 670 Sonics XVIII. Coby Santos registered 16 points, K.J. Kabiriel added 14, and Atan Aiferon, E.J. Abejo, and Dean Blake chipped in 11 each. With the Ol’Aces on target, they built a double-digit lead at the end of the first half, 44-31, and never looked back. 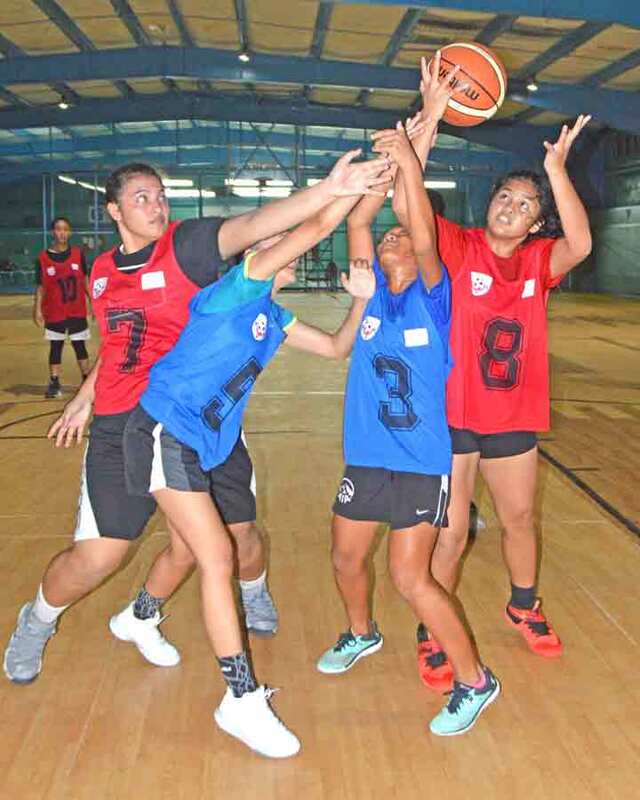 Besides the Ol’Aces, Ol’Aces Elite, and 670 Sonics XVI and XVIII, five other teams are entered in the boys U18 division: Sun Palace Hotel, 670 Sonics XVII, Ol’Aces Extreme, Kanoa Resort, and Saipan Tribune. 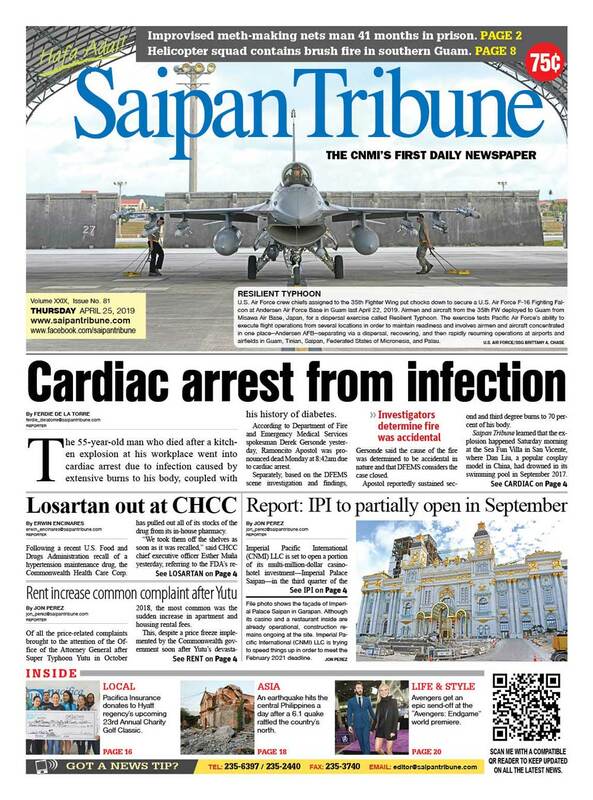 Saipan Tribune is made up of female players training to represent the CNMI to the 2018 Micronesian Games in Yap. In the girls division, Shirley’s Coffee Shop, CTSI, Fiesta Resort, and Marianas Variety are the other competing teams. Ol’Aces 79 — Santos 16, Kabiriel 14, Blake 11, Aiferson 11, Abejo 11, Ichihara 4, Peter 4. 670 Sonics XVIII 56 — Itaas 14, Manansala 8, Apasan 7, Tengco 6, Cobacha 5, Ordona 5, Diaz 2, Malasarte 2, Kintaro 2, Aque 2. Scoring by halves: 44-31, 79-56. 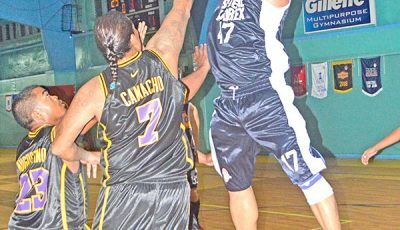 670 Sonics XVI 60 — Dancel 15, Contreras 12, R. Bernardo 9, Chavez 8, Favor 5, Lagmay 4, Tabora 2, Sablan 2, B. Bernardo 2, Mendoza 1. 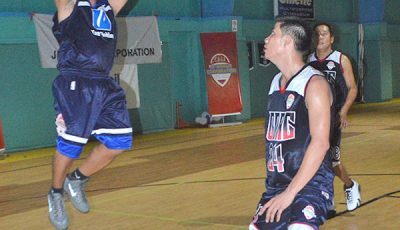 Ol’Aces Elite 55 — Laxa 15, Kenty 14, Deleon Guerrero 8, Quitugua 7, Pangelinan 6, Soriano 3, Richson 2. Scoring by halves: 26-26, 49-49, 60-55 (OT). GSM Ol’Aces 66 — Fernandez 14, Camacho 14, Pangelinan 12, An. Santos 8, E. Santos 6, Kenty 6, Deleon Guerrero 6. IT&E 35 — Jeraldine Castillo 16, Pena 12, Marasigan 5, Hemley 2. Scoring by halves: 28-21, 66-35.